In the coming weeks, we will be working on parts of speech in our homeschool. I wanted to put together something fun for the kids to do as they are learning. I decided to put together a fun parts of speech game and I thought it would be a lot of fun to share this free printable with you. There are a few different ways you can play this game. I highly recommend laminating it for repeated play. 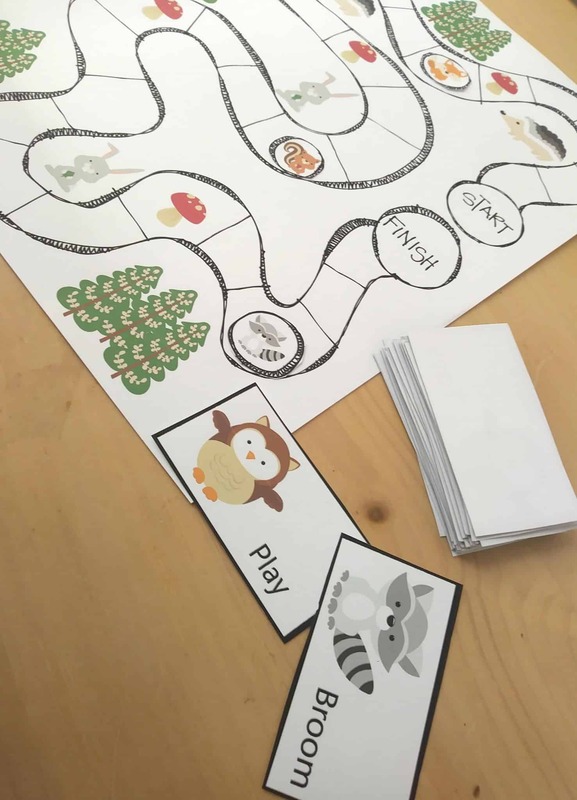 I’m going to list a few different ways you can play the parts of speech game and the printable will be at the bottom for you to download. In nouns vs verbs, your goal will be to get to the end of the game before those you are playing against. – Nouns count for 2 spaces. – Verbs count for 1 space. – Verbs can count for 2 spaces if you act out the verb on your card. – If you land on a mushroom you have to move back 2 spaces. This game will move quickly and can be a great way to get kids up and moving. Extra points for acting out your verbs will give them the motivation to get up and get moving. In parts of speech, the goal is to get to the end of the game before those you are playing against. – Nouns count for 1 space. – Pronouns and Prepositions count for 2 spaces. – Interjections and Conjunctions count for 2 spaces. In nouns vs. proper nouns, the goal is to get to the end of the game before those you are playing against. – Proper Nouns count for 2 spaces. If you are working on a specific part of speech, customize your fun to what you are learning. 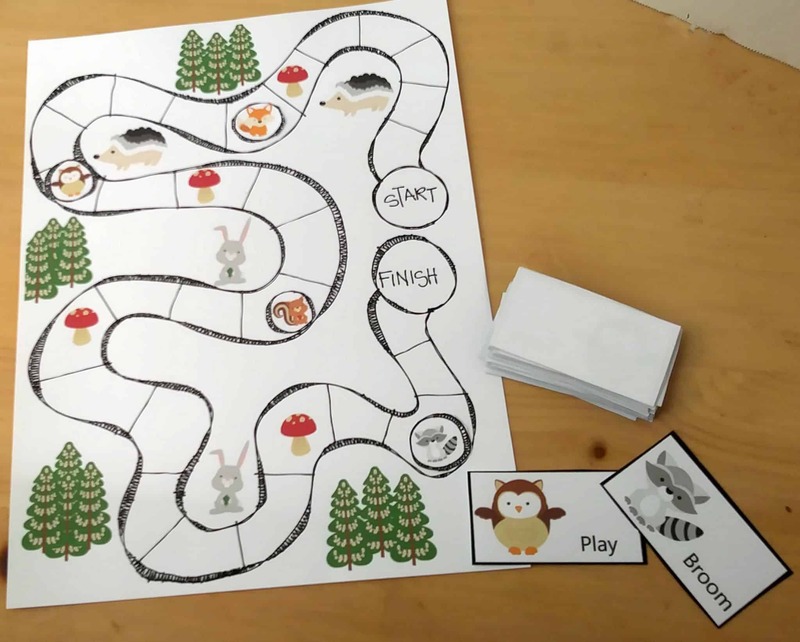 Have fun creating your own game using the pieces provided and the boards in this printable pack. Don't miss this amazing printable to work on three different parts of speech games.